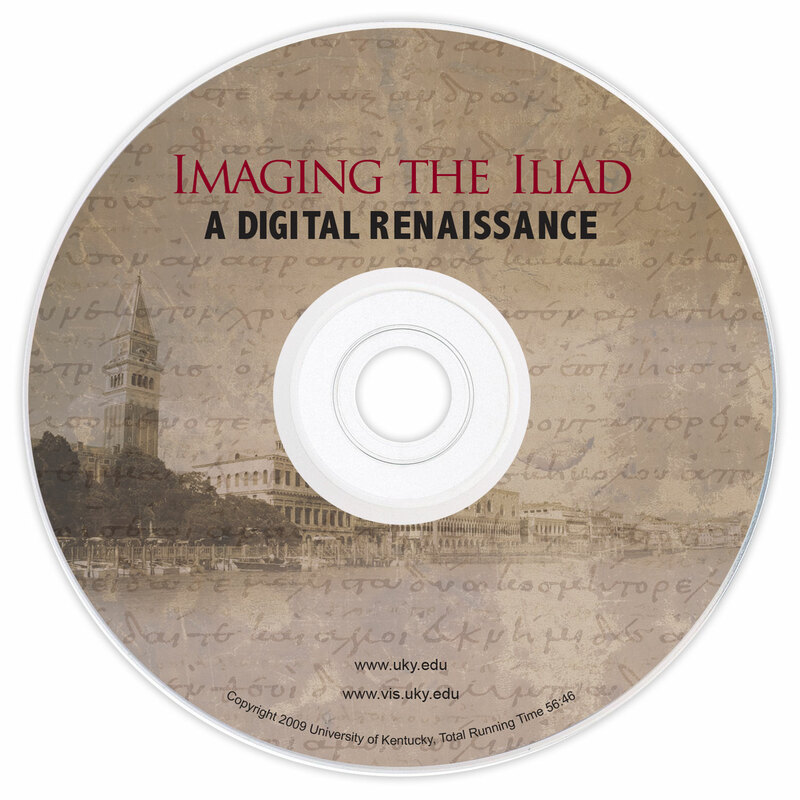 Imaging the Iliad a Digital Renaissance is a documentary produced by the Center for Visualization and Virtual Environments that follows W. Brent Seales, Ph.D. and his team of researchers through their journey of the digitization and historical preservation of Homer’s Iliad. 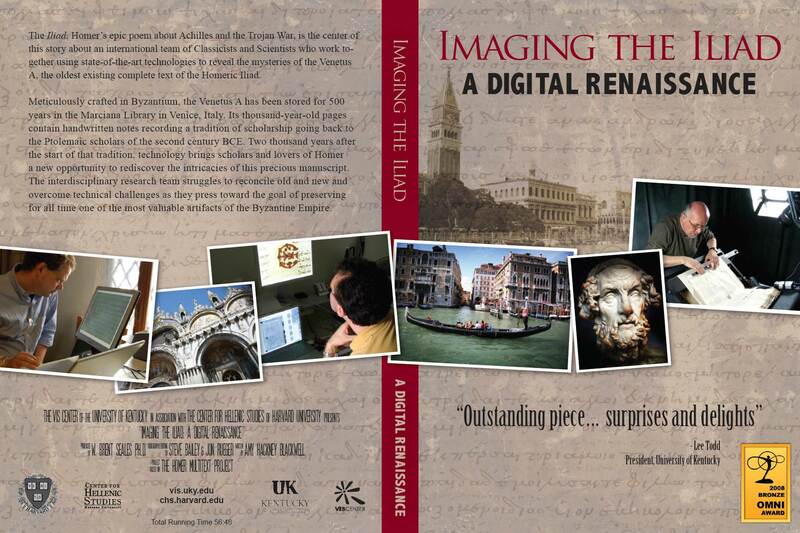 In this documentary a team of researchers from the University of Kentucky travel to Venice, Italy to create high-resolution 3D scans and images of each and every page of the ancient Greek epic poem. 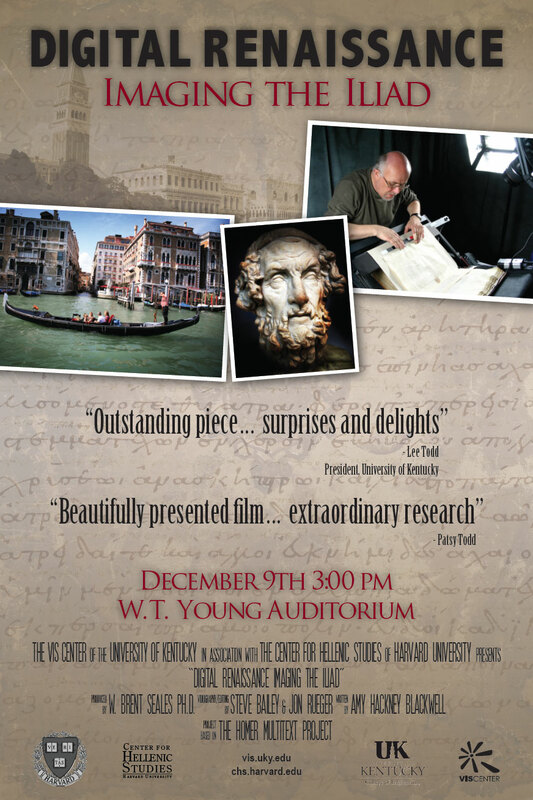 Here you can see the movie poster, DVD wrapper and DVD artwork that was developed for the documentary.